Home > Learning Center > Learning Center > What Are Solar Incentives and How Do They Work? What Are Solar Incentives and How Do They Work? Governments and private citizens across the world are taking renewable energy more seriously. One of the best ways to boost interest in cleaner power sources is by reducing investment costs for homeowners and businesses. In the United States, these cost reductions come in the form of solar incentives that allow ordinary Americans to affordably install photovoltaic (PV) panels on their properties. Below is a breakdown of the most popular solar incentives in the US. This tax credit (or investment tax credit) allows customers to pay off their annual IRS bills using up to 30% of their solar installation costs. 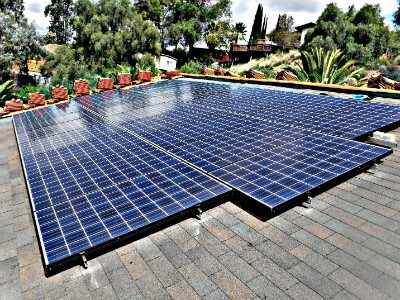 For example, if your PV system costs $10,000, you can reduce your tax liability by a whopping $3,000. Think of this solar incentive as a one-time gift card from Uncle Sam. It instantly reduces the upfront cost of your PV installation, allowing you to speed up the payback period of your investment. To learn more, read "The Federal Solar Tax Credit." Available in almost every state, the net metering program allows you to sell excess solar electricity to your local utility company at a profit (usually for credits—not cash). With this special incentive, it's possible to receive $0 or even negative electricity bills every month. Like the tax credit above, net metering helps to speed up the payback period of your solar PV system. Net metering also removes the need to purchase battery storage for your solar installation. To learn more, read "How Net Metering Boosts Solar ROIs." Like net metering, feed-in tariffs allow you to monetize your solar electricity. But under this incentive, it's sometimes possible to receive actual cash (not just credits). You might also be allowed to sell your solar power at above-market rates, making it one of the most lucrative incentives on this list. However, the solar feed-in tariff is not available in all states. To learn more, read "Do You Qualify for the Feed-in Tariff?". Solar rebates work exactly like rebates for other consumer purchases. You buy a new PV system, mail in a form, and receive cash back. It's a very simple strategy for reducing the upfront cost of your installation by 5%, 20%, or more. For additional information on this program, read "How Solar Rebates Save You Money." In addition to the above programs, there also exist other solar incentives by state, region, and neighborhood. To learn more about local solar incentives in your state, click here. Receiving free money to go solar is a great feeling — especially when that money comes from the government or local utility. But this free lunch won't last forever. Solar incentives are designed to "incentivize" early adoption. As more people go solar, the benefits get scaled back progressively. This is why the feed-in tariff isn't available in all 50 states. In some regions, solar rebates have disappeared altogether. Even the federal tax credit is set to expire in 2016. 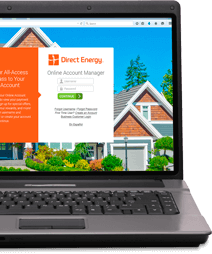 If you have questions about solar incentives in your region, contact Direct Energy Solar for a free consultation.